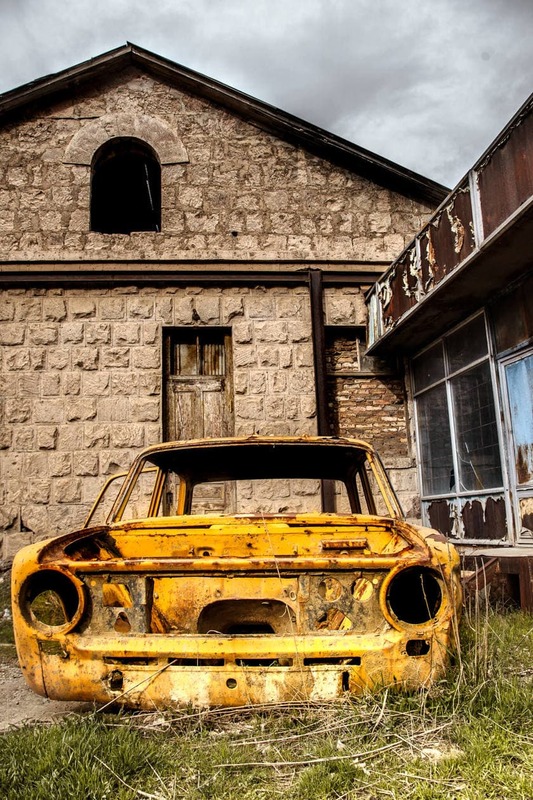 In an era where a single Google search will pull up thousands of blog posts and magazine worthy photos for any given destination, I was surprised at how few Armenia travel tips and guides I could find online. This posed a unique situation where we actually had to jump in feet first and really explore for ourselves. We divided the country in thirds, rented a car, and just drove. Of course, there was some trial and error, but this was one of the most exciting trips I’ve taken in a while. 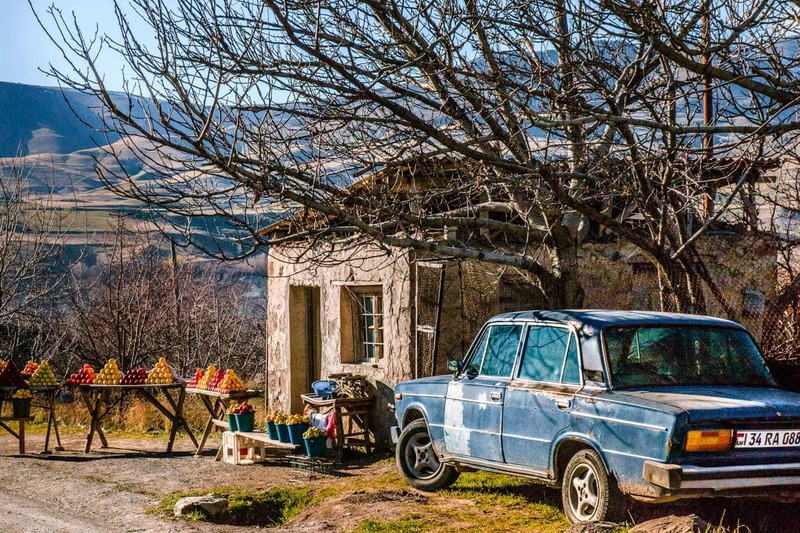 In this complete Armenia travel guide, pick up some of the helpful tips we learned along our journey, discover the best time to visit, get an idea of how much things cost, what foods you have to try, plus much more. The ideal time for Armenia travel is late May to early June, or late September to early October. November is the wettest month. March and April historically have a good amount of rain but the weather was beautiful (with no rain) when we were there in late March. The hottest months are July and August, with highs in the 90’sF (around 35C). The coldest months are December to February, with highs in January topping 2F ( 35C) and lows dipping down to 19F (-7C). June and July have the longest amount daylight (around 13 hours), with December through February offering up only 7 hours of daylight each day. 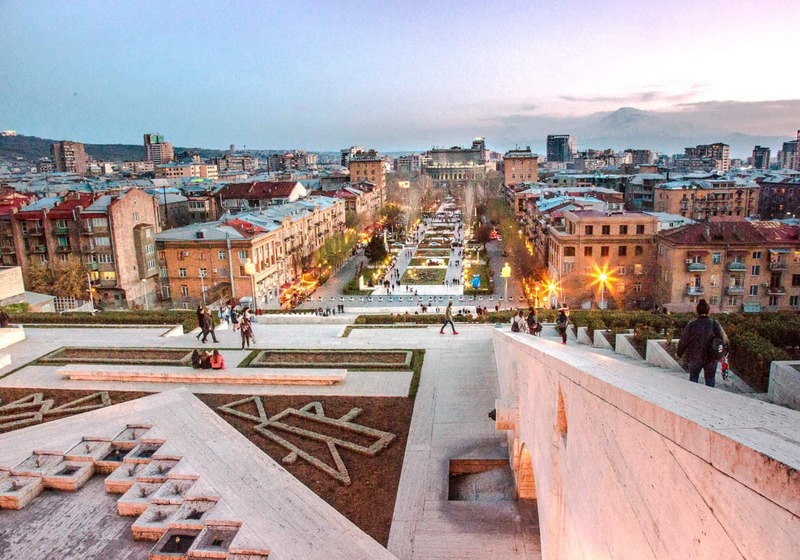 Whether or not you need a visa to enter Armenia will depend on your passport. All European Union citizens as well as citizens of the United States, Australia, and the United Kingdom do not need a visa prior to arrival. Canadian citizens do require a visa but can obtain it upon arrival for 15,000AMD ($30CAD). Citizens of Africa (except South Africa) cannot obtain a visa upon arrival. They can only apply at an Armenian diplomatic or consular post, and only with an invitation. To view the visa requirements for all countries, click here. Armenia operates on the Armenian Dram. Credit cards are widely accepted in the city and ATMs are relatively easy to find. For current exchange rates, or if your country is not listed above click here. RESTAURANTS I had a difficult time finding an accurate Armenia travel guide regarding tipping. From what I understand, tipping is common in Yerevan restaurants. My Armenian friend Val (who I’m so grateful to for all of her tips) says that there is no minimum and no expectation, however it’s “greatly appreciated regardless of the percentage.” So anywhere from 5% (on small bills) to 10-20% for restaurants with great service. TAXIS When taking a taxi, you can round up on the fare. HOTELS Nick was in Armenia for business so we were lucky to get the opportunity to stay at the Multi Grand Hotel. When ordering room service, we attempted to tip several times and our efforts were denied. The most comment power socket in Armenia is Type C – Non Grounded. You might also run into Type F – Grounded. (We brought only a Type C converter and had no issues). WiFi is readily available (fast and free!) in Yerevan, and you’ll find it in every restaurant, hotel and coffee shop. Outside of the city, WiFi is a little harder to come by, but we didn’t have a problem finding some when we really needed it. One of the best things about Armenia is how inexpensive it is. Typically, things will cost more in Yerevan and much less in the rest of the country. During our road trip to the North, we stopped by a market to pick up some snacks. We bought homemade bread bigger than both of our faces combined, 2 beers, 2 baklava desserts and some sheep’s cheese for a grand total of less than $6 USD. Here are some approximate Armenia travel expenses to give you an idea of how to budget your trip. Taxis meters start at 600AMD ($1.20USD) and cost 160.93 per mile ($0.33USD). Armenia’s food won me over.. big time. Just about every traditional restaurant has a massive menu with tons of options, so it can get a little overwhelming if you’re not familiar with the cuisine. Here is a list of some of the most popular and traditional Armenian dishes that you have to try. BASTURMA is a highly seasoned, air-dried cured beef, and it’s a common appetizer in Armenia. We were served basturma as part of the cold plate during several of our breakfasts. My friend Val recommends trying it in an omelet. KHOROVADZ is Armenian barbecue, and it’s one of the most typical foods you’ll find in Armenia. Pork is the most common meat, but you can also order chicken, lamb, beef and fish BBQ. If you don’t eat meat, there are tons of vegetable barbecue options. I fell in love with the the mushroom BBQ and ordered it at every meal. 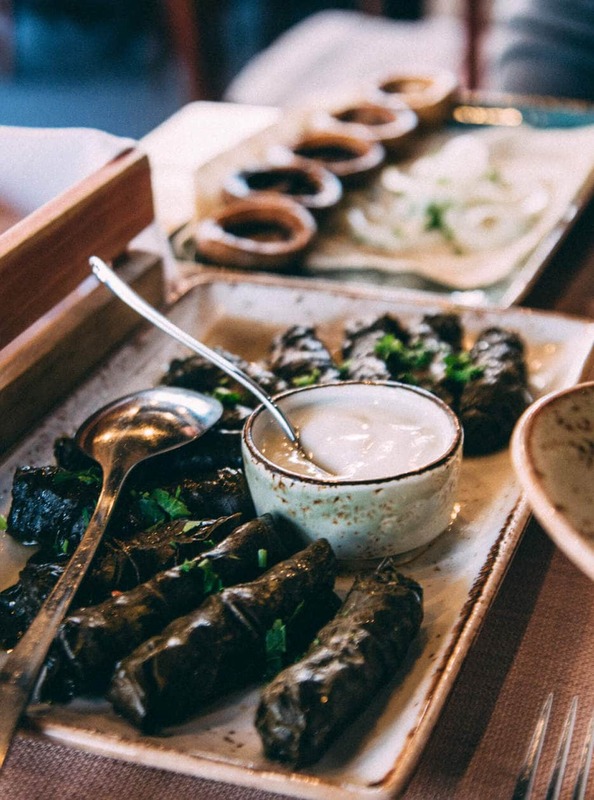 DOLMA is a traditional Armenian dish made of grape leaves, ground beef, rice, plus herbs and spices. Dolma can also be ordered without meat. BUREG (also known as Borek or Borag) is a staple in Armenian food. It’s a baked pastry made with thin flakey dough and filled with cheese. LAVASH is a thin unleavened flatbread.. and you cannot leave Armenia without trying it. Not to worry though because if you forget to order it, the waiter will always remind you. 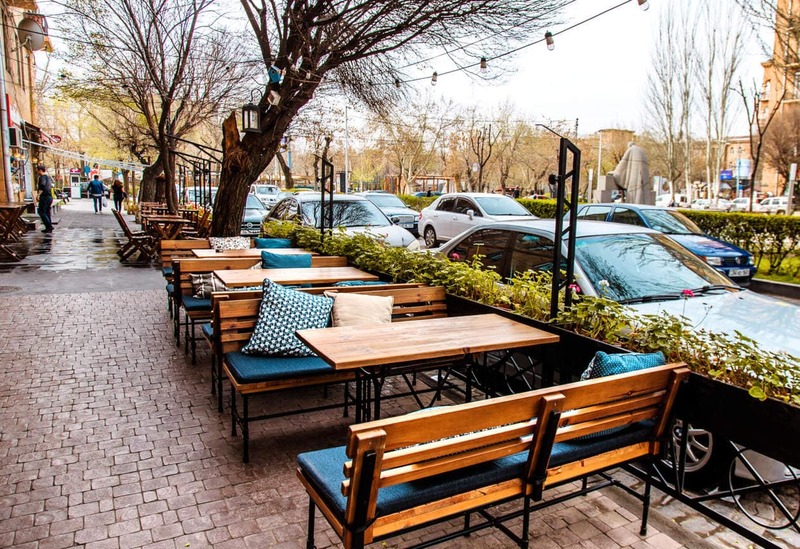 At Lavash and Sherep restaurants in Yerevan, you can watch the lavash making process which only adds to the level of appreciation you will have for it once it hits your table. BRANDY (COGNAC) Armenian Brandy is considered to be some of the best in the world and for a short period of time, they were even allowed the prestigious honor of calling their product “cognac.” Armenian brandy was most famously known as the drink of choice for Winston Churchill and they boast gold medals in spirits competitions around the world. ASK TAXIS TO USE THEIR METER During our time in Yerevan, the only taxi drivers who voluntarily turned on their meter without us having to ask were the ones who were called by our hotel. If the meter does not get not turned on, the driver will quote you his own price at the end of the ride. A few times we forgot to ask about the meter, and the fare was triple what it normally was. We didn’t argue about it as it was only a few dollars difference, but I still hate getting up-charged for being a tourist. TAXI DRIVERS Speaking of taxi drivers.. very few spoke English. I recommend having the name of your destination written in Armenian so that they understand where you want to go (you can ask your hotel to help you). When we wanted to go to the Ararat Brandy Factory, our driver thought we asked him to take us to Mt. 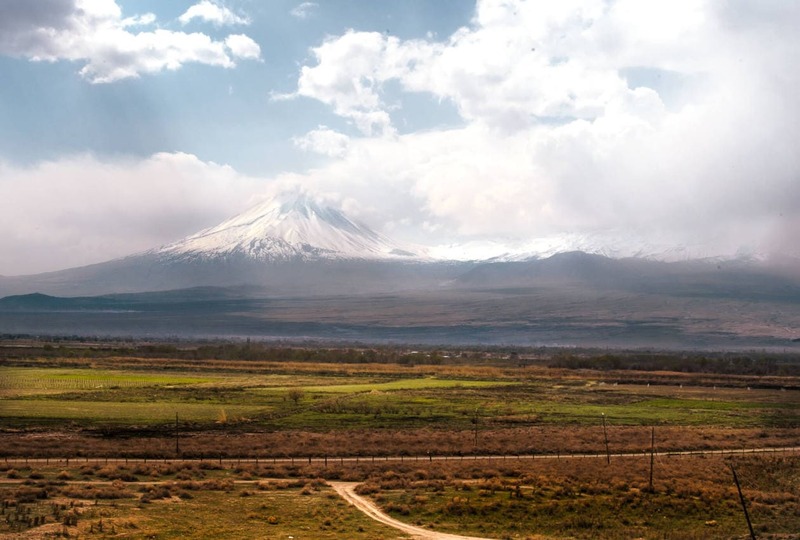 Ararat… in Turkey. Another time, on the the way back to our hotel, we had to pull up our Google Maps and navigate for him using hand signals. Luckily, they were all very sweet and willing to work with our lack of knowledge about the local language. 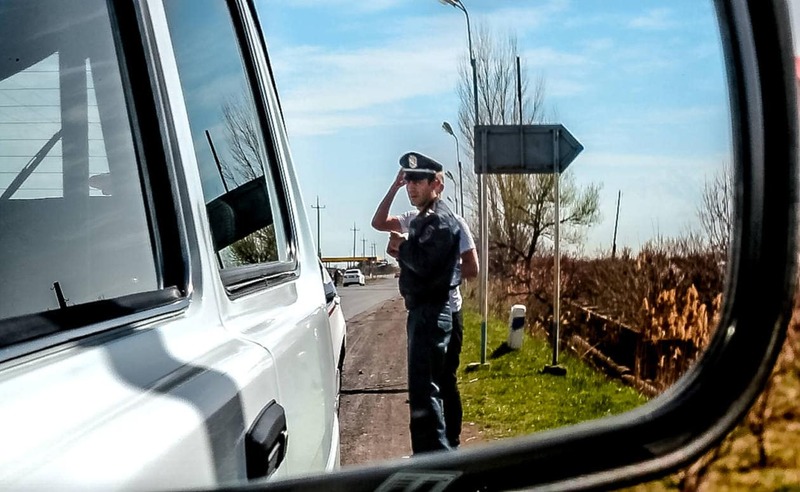 PAY ATTENTION TO SPEED LIMITS If you will be renting a car in Armenia, make sure to follow the speed limits! There are speed camera everywhere and we not only got pulled over, but we saw dozens of others fall prey to the cameras each day. CREDIT CARDS In the US, our credit cards don’t usually have pin codes. Apparently this is not the norm and we inadvertently caused extreme confusion when we didn’t have a pin to enter during credit card purchases. A few people assured us that they wouldn’t steal our money ( they must’ve though that didn’t want to give them the code for security reasons haha). To their surprise, the sale did eventually go through, but it took about 30 seconds. TRY THE WINE Armenia is one of the oldest wine producing regions in the world. 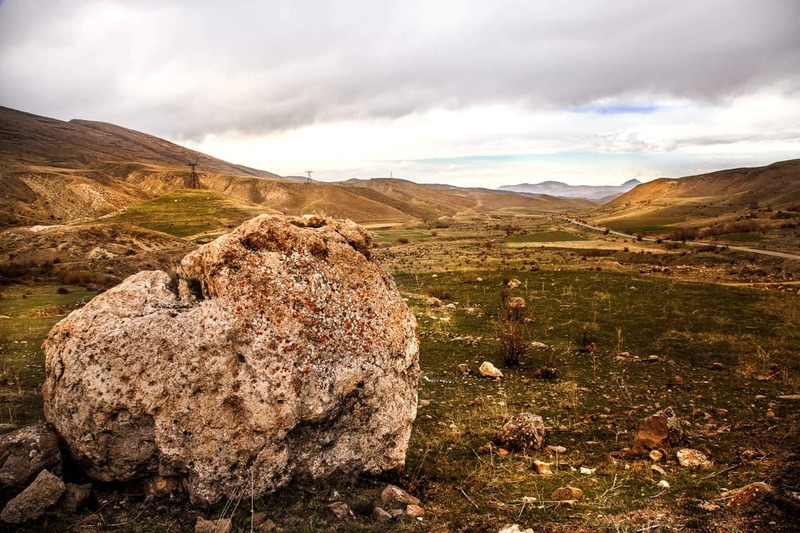 The earliest known winery was actually discovered here, in a Southern town called Areni. 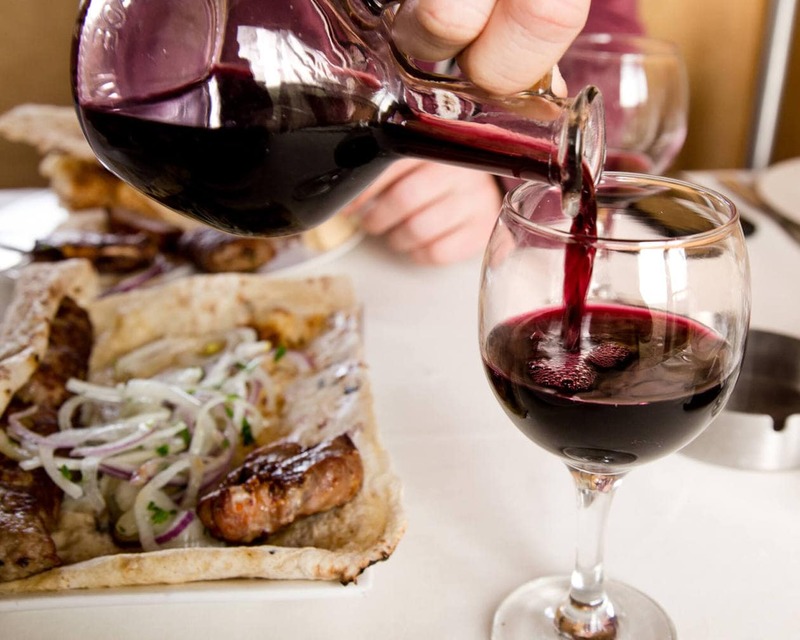 Homemade wine can be found on just about every restaurant menu. FREE PHONE CHARGING IN YEREVAN If you find yourself running out of phone battery in Yerevan, head towards the Cascade Complex. There’s an open air bus/tourist information center parked out front with free phone charing. CHECK OUT THE GROCERY STORE Walking through foreign grocery stores is one of my favorite things to do when I travel, and it was even more fun in Armenia because everything is cheap. While beer in your hotel mini bar might seem inexpensive ($2-3USD), you can find it in the grocery store for less than $1USD! 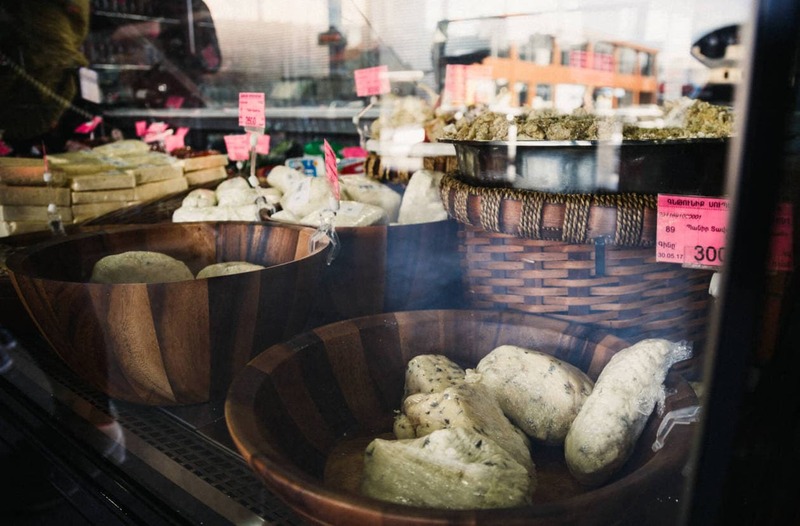 Also stock up on fresh bread, homemade cheese and Armenian snacks. HOW TO TIP Unlike in the US, you tip when paying your bill. If you are paying by card, let the server know how much extra to add to the bill. If you’re paying with cash, hand the tip over with your total. 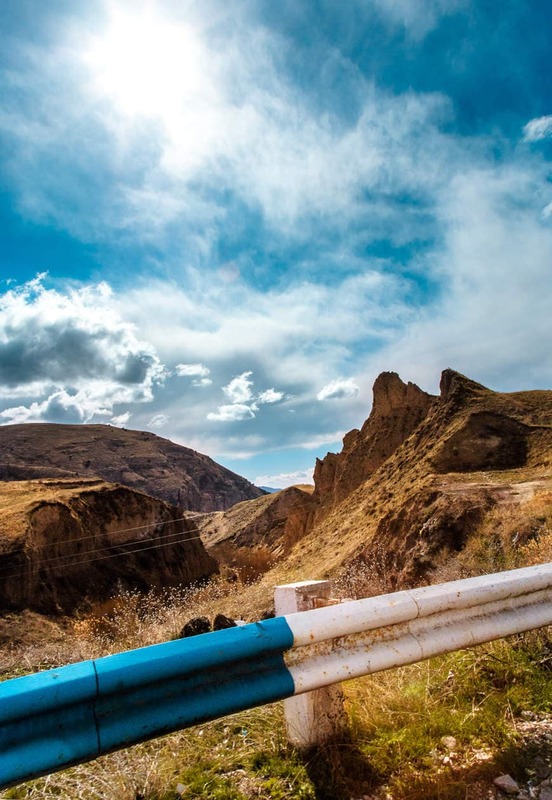 SAFETY & SOLO FEMALE TRAVEL Armenia is extremely safe and I would definitely feel comfortable returning here as a solo (female) traveler. They have a very low crime rate even in their biggest city, Yerevan. If you don’t know anything about Armenia, you might look at where it’s located on a map, and group it in with high-risk countries such as Iraq and Afghanistan. However, Armenia is rated “low-risk” on the Global Terrorism Index at #75 (for reference, the US sits much higher at #32). Also, the United States Government rates Armenia as “Level 1” – the lowest advisory level for safety and security risk. Even though Armenia is safe, it’s advised to stay clear of the Azerbaijan border as relations between the two countries remains hostile. And as with any place you travel, always stay conscious of your surroundings. TALK TO THE PEOPLE I’ve never been looked at as strangely as I have in Armenia. We would drive through these tiny towns on our road trip throughout the country and people would not drop their gaze. At first I was a little uncomfortable but then I realized, they just don’t see that many tourists. We started initiating contact first, and quickly discovered that the Armenian people are SO friendly. One of our taxi drivers called his daughter on speakerphone because she spoke better English than him, and he wanted us to talk to her. If we had a problem, people would go out of their way to help us.. like the time we got lost and a very nice man drew directions for us in the dirt. If you find yourself traveling in Armenia, I highly recommend trying to make a connection with the people. They played a big role in my fondness for this country. 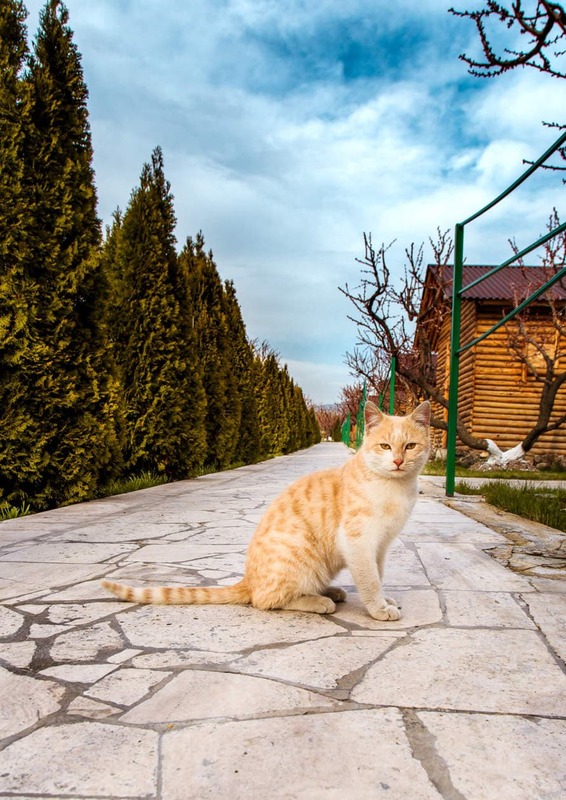 DILIJAN A town in Northern Armenia also known as “Little Switzerland” because of it’s dense forests and snowcapped mountains. Dilijan is a good jumping off point for Haghartsin and Goshavank Monasteries. HAGHARTSIN MONASTERY A 13th century monastery located in the Tavush province. 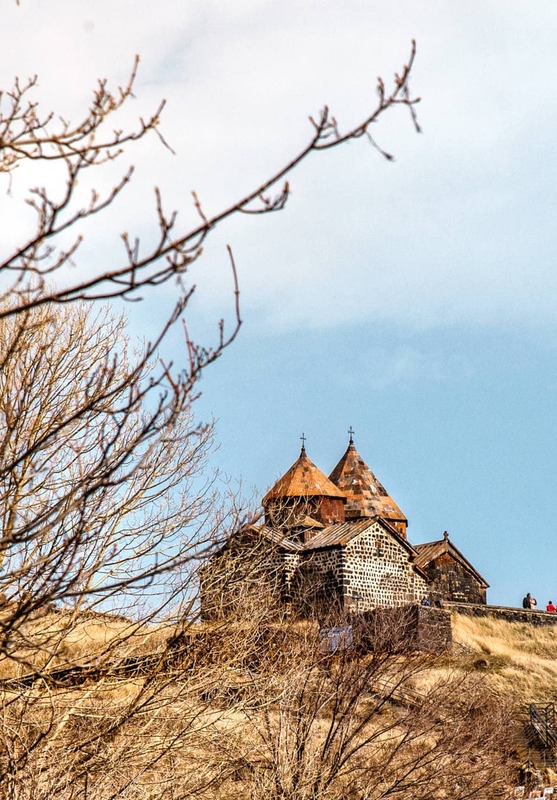 Haghartsin is one of the most visited monasteries in Armenia and is known for it’s incredible location tucked amongst the trees, on the top of a hill. LORI PROVINCE One of the most beautiful provinces in Armenia. 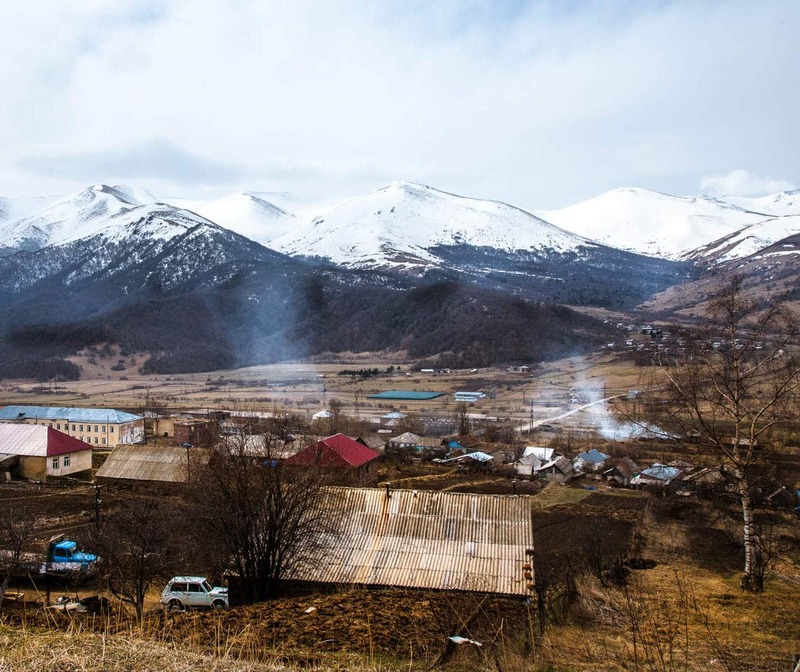 It includes towns such as Stepanavan, Alaverdi and Spitak. 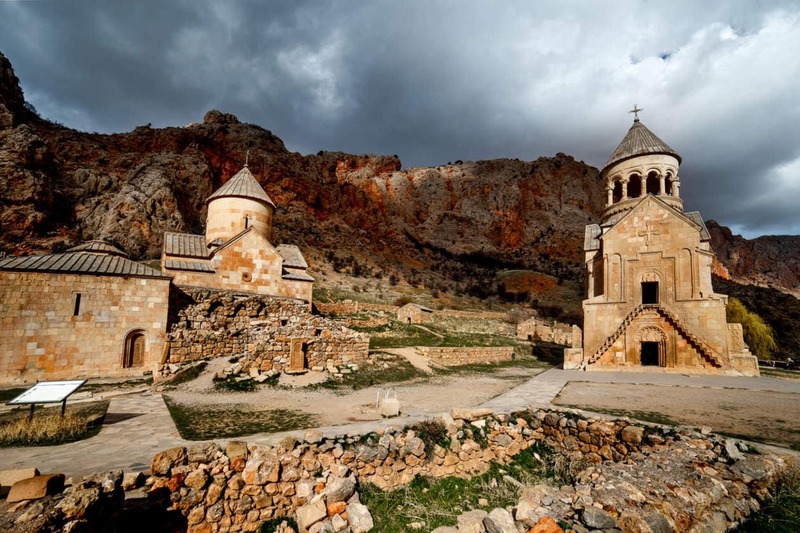 In Lori Province you can visit the Lori Berd Fortress, Haghpat Monastery and Sanahin Monastery. LAKE SEVAN The largest body of water in Armenia and one of the highest altitude lakes in the world. 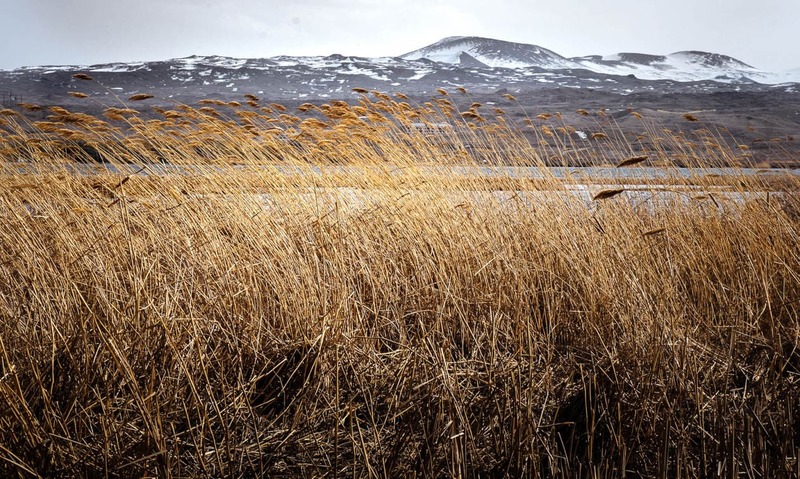 Lake Sevan is a popular Armenia travel getaway for those looking to escape the Summer heat and relax on some sandy beaches. Also be sure to visit Sevanavank Monastery, located right on the shore of the Lake. GOSHAVANK Located 15km from Dilijan, Goshavank is a 12th century monastery that used to be one of the leading spiritual and educational-cultural centers of medieval Armenia. JERMUK A mountain spa town located in the Vayots Dzor Province of Southern Armenia. Most of the country’s mineral water comes from here and it’s a popular destination for those seeking out mineral spa treatments and hot springs. ARENI Armenia’s wine region which was said to have been founded by Noah and his sons (from the Christian Bible). The world’s oldest winery was discovered here in the Areni-1 cave, which you can tour. 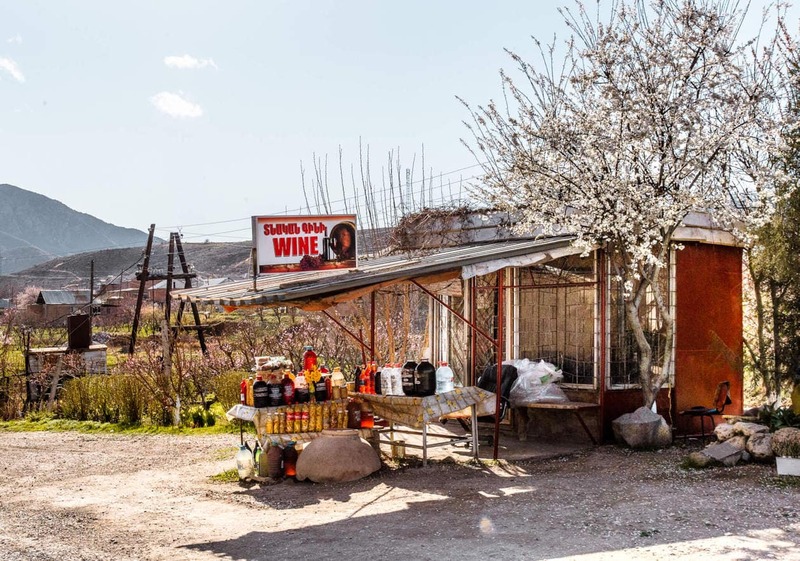 As you drive through the village, you’ll pass dozens of stands with vendors selling homemade wine out of old water jugs and coke bottles. 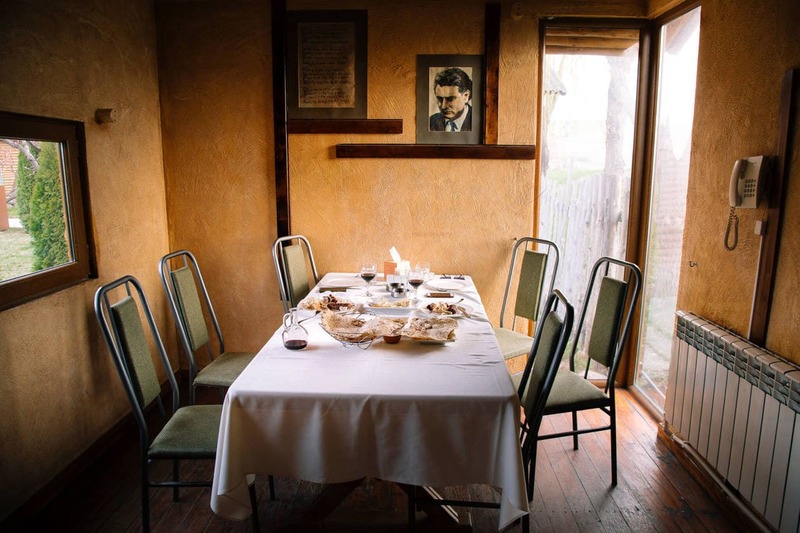 Or you can visit Hin Areni winery for a tour and tasting. We ended up buying 4 bottles of Hin Areni wine (including their reserve) and it cost less than $30USD. NORAVANK MONASTERY A 13th century monastery located within a deep gorge created by the Amaghu River. Noravank is definitely worth visiting because the scenery is breathtaking. 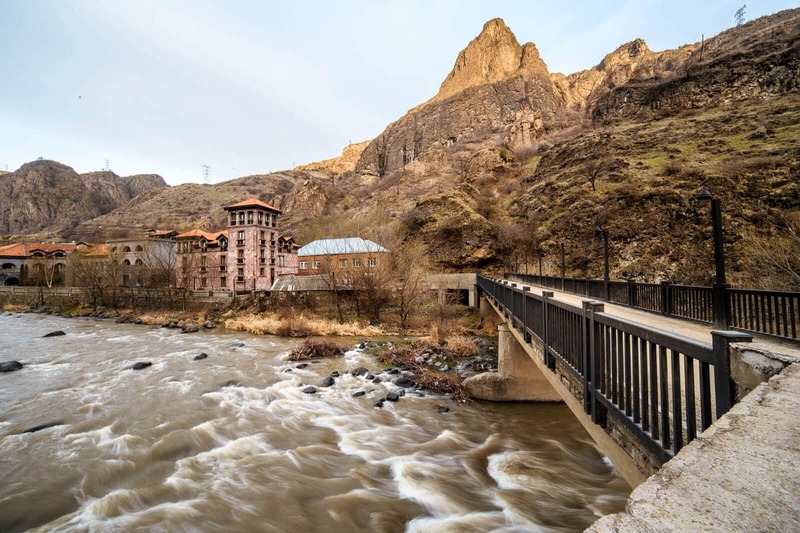 You can combine your visit with a stop in Areni as it’s only 10km (6 miles) apart. TATEV MONASTERY I highly regret not making it to this monastery. It was a little too far away to turn into a day trip, and we just ran out of time. Tatev Monastery’s location looks breathtakingly gorgeous, situated on a basalt plateau in the Syunik Province. To reach the monastery, you have to travel on the world’s longest cable car, the Wings of Tatev. KHOR VIRAP Armenia’s most visited pilgrimage site. 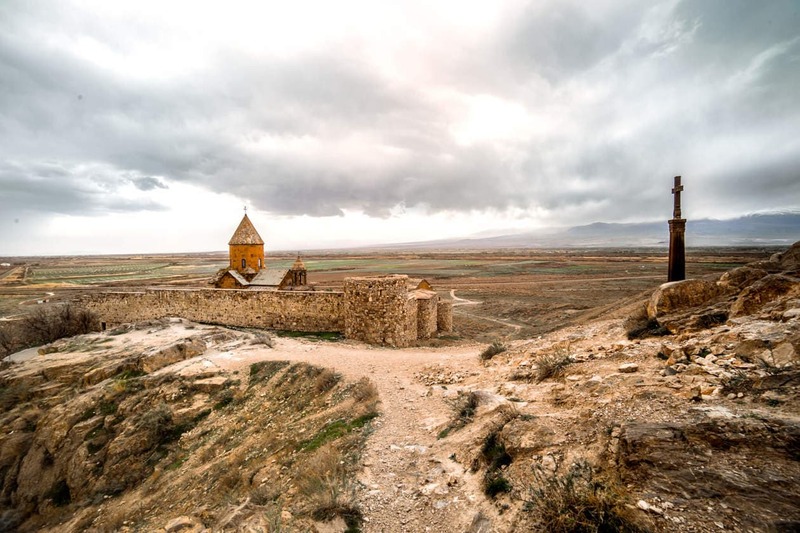 Khor Virap is said to have been the site where Saint Gregory the Illuminator was imprisoned for 13 years before successfully converting King Trdat to Christianity, thus making Armenia the world’s first Christian nation. 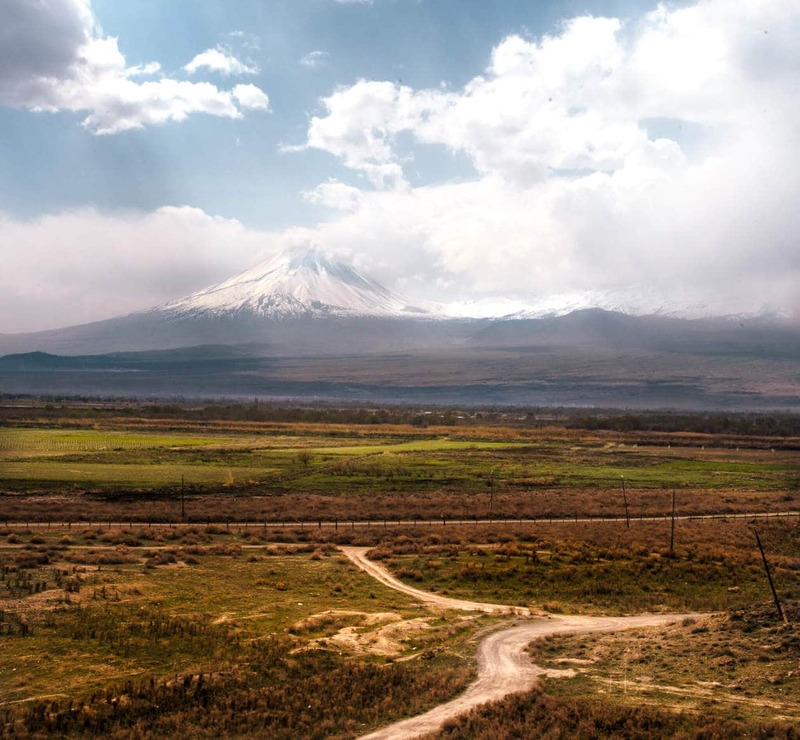 In addition to it’s religious significance, Khor Virap also offers one of the best views of Mount Ararat (granted that it’s not covered by the clouds … like when we visited 🙁 ). GEGHARD MONASTERY Located in the Kotayak Province, Geghard Monastery was founded in the 4th century by Saint Gregory the Illuminator. It’s partially carved out of the mountain stone and is named after the spear that wounded Jesus during his crucifixion. The spear is said to have been housed here until it was moved to Armenia’s Ejmiatsin Cathedral. TSAKHKADZOR Located in the Kotayak Province, Tsakhkadzor is a popular ski resort town only only one hour from Yerevan. Kecharis Monastery and Makravank Monastery are nearby. YEREVAN Armenia’s capital and the largest city in the country. Yerevan is also known as The Pink City because it’s buildings are made out of pink lava stone. Despite being sandwiched between Muslim countries, Armenia is a Christian nation so there is no specific dress code to adhere to. Still, it appeared to be somewhat conservative as far as clothing goes, so airing on the side of modesty will help you fit in. The women in Yerevan had great style; I’d describe it as casual chic with some funky touches here and there. I noticed a lot of blacks and neutrals, with subtle pops of color, cool shoes and of course, designer bags. The climate changes throughout the country, so packing Armenia travel outfits with a few different layers is recommended. Even in the hot Summer, nights can get a little chilly. Did I miss anything? Leave any of your Armenia travel tips in the comments! We are 4 pax planning to visit armenia in mid october (total 7 days travel plan for ) from dubai. travel date oct 14 . Request to provide a rough itinerary so that we could cover important tourist spots in important towns. 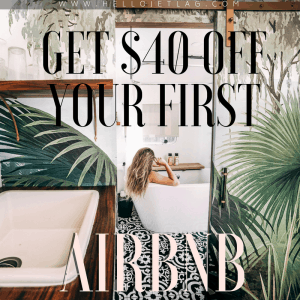 We are nature lovers..then we wish to experience fall season,snow & a daytime .We have to book accommodations at various places as per the itinerary. I’ve written several posts about Armenia which can hopefully give you some ideas for your trip. I recommend consulting with a travel agent for a more personalized itinerary as they will be able to give you more suggestions beyond what I saw during my trip. I have been dreaming on traveling Armenia from long time back. Great sharing of the needed information.